Chances are you’ve probably heard of gallstones. It might have been during a conversation with a friend or a family member. But it’s a very common problem nowadays. 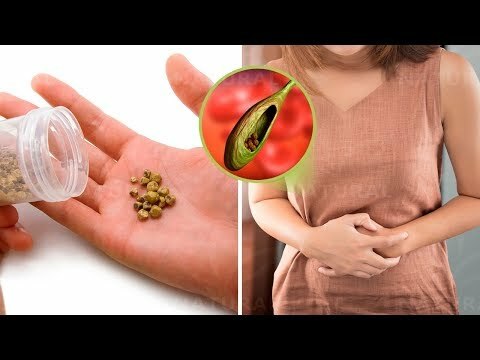 Gallstones or cholelithiasis as they can also be called, is a disease that affects almost 10% of the world’s population, and that’s why we’re talking its causes, symptoms, and natural treatments today. Gallstones are formed by changes in our bile acid that may occur due to a diet that is rich in fats and simple carbohydrates, and poor in fiber. Furthermore, not exercising, smoking and long term use of contraceptives can also contribute to the appearance of this disease. And, more than anything else, genetics play an important role in whether or not you’re likely to develop gallstones. If you want to try a natural treatment burdock and boldo tea can both reduce swelling and may help get rid of the stones.